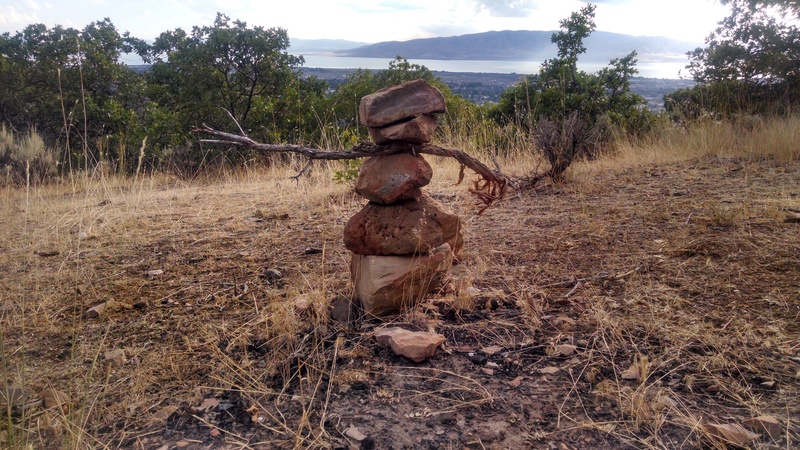 This summer, people started building crazy cairns (rock piles that mark a trail) all along the bike trails in the mountain foothills above my home. 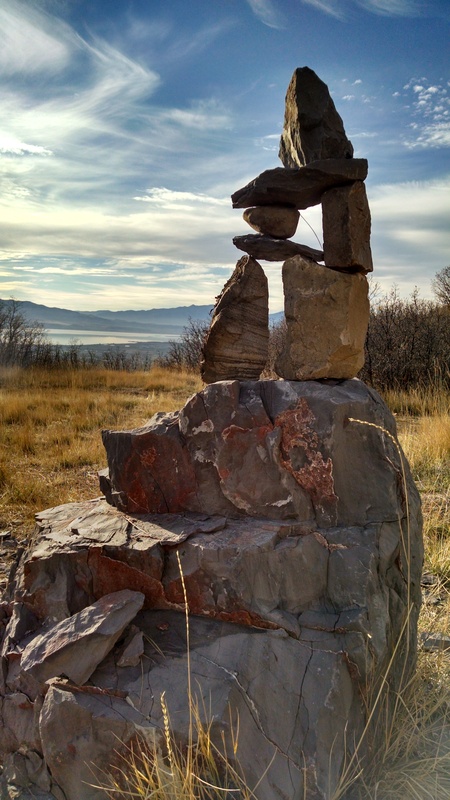 At first they would simply gather rocks and stack them tall; then as months wore on, they grew more elaborate. I started adding sticks for arms and turning them into cairn men. Sometimes others would remove the sticks or knock over the piles, but someone else would always rebuild them. Now summer has passed, most of the leaves have dried up and dropped from the sky, and despite a long, gorgeous autumn, the snow can’t be too far away. I’ll still run the trails, but the cold won’t let me linger the way I’ve enjoyed for so many months. 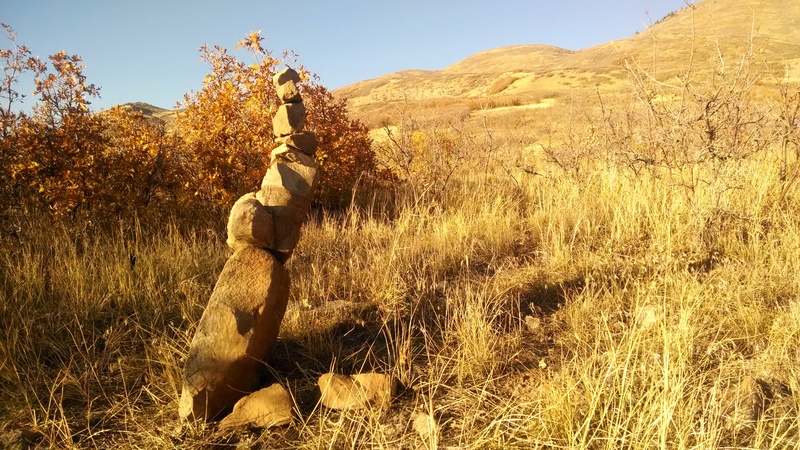 Thanks to the change of seasons, every time I pass a cairn, I think about how ephemeral this world is – nothing is built to last. The only thing that will ever endure is the fleeting moment of “now,” and that truth ought to affect your perspective and priorities. 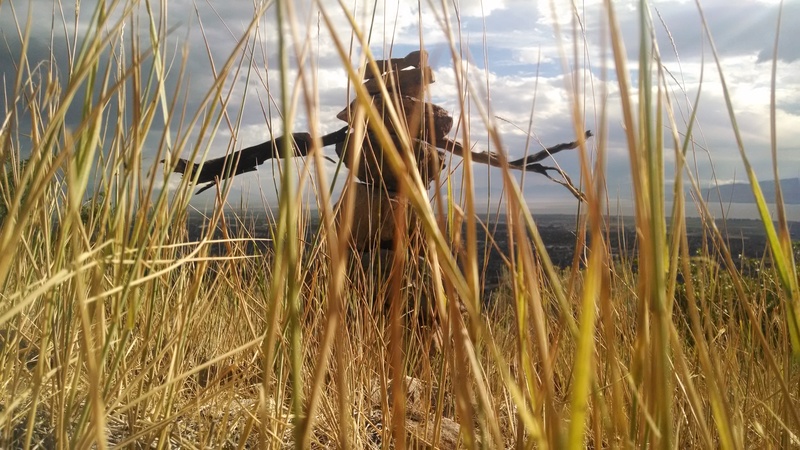 How much of your life do you spend focusing beyond the horizon? How hard to you work so you can enjoy some future moment instead of the one right before you, which happens to be the only one that will ever actually exist? There’s nothing wrong with investing in future moments – in fact, if you don’t, then your now will become endlessly miserable. Just make sure that you catch up with yourself often. 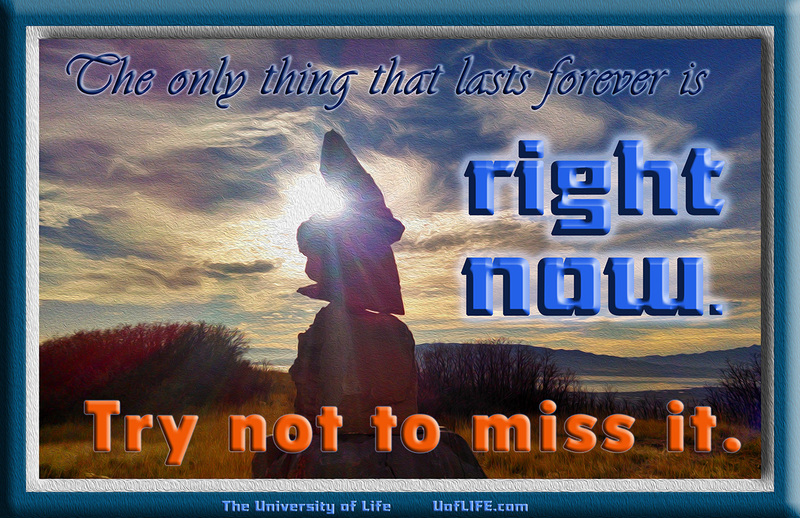 Make sure you make it a point every day to be here now, at least for a few moments. Also, train yourself to value and appreciate the tiny, insignificant, transitory things. As Diane Ackerman wrote so beautifully in A Natural History of the Senses, “The most beautiful things in life are ephemeral.” A sunrise. A sunset. The scent of homemade bread and honey butter, or fresh cut grass in the spring. A word. A sigh. Each of these is more real, more important, and more satisfying than any electronic gadget or a bank account with lots of zeroes. Yes, life is made of moments, so make sure you make some moments today.